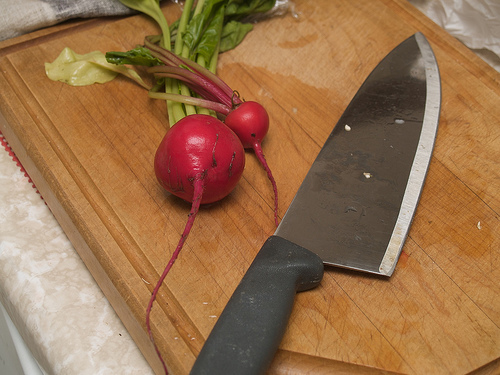 And beets, and tomatoes, and kohlrabi, and…and…and… The garden is really coming into it’s own. The tomatoes have been staked and I’ve already picked two! That’s right, two tomatoes and it’s only July 6th. They’re Stupice, a Czech heirloom variety that I grew last year and are known to be spectacularly early. 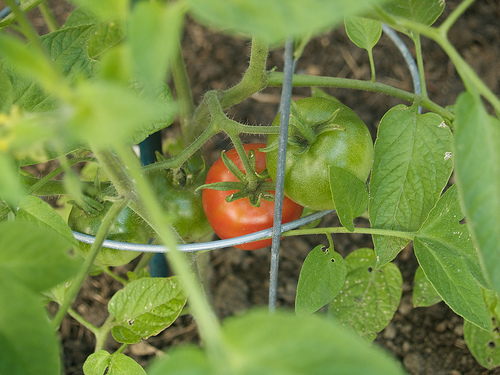 They’re a smaller variety, but who can beat vine ripened tomatoes in early July?! If we’d had a normal, hot summer thus far, I bet they would have been even earlier. Close on the heels of Stupice are the Purple Russians, an egg shaped variety that is noted to be good for salsas and preserving. My peas are going like gangbusters. 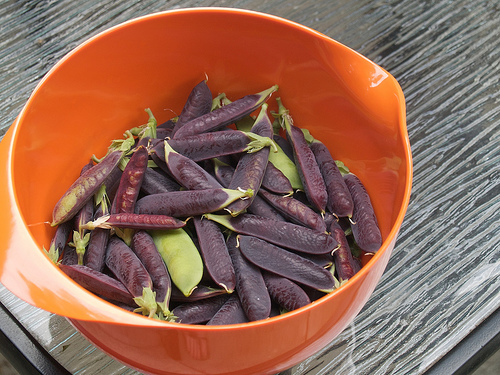 Last night I picked all the full ones I could find and sat down and podded my first bowl of peas in probably well over 15 years. They were a staple of the veggie garden of my childhood, but this is the first year I’ve grown them myself. 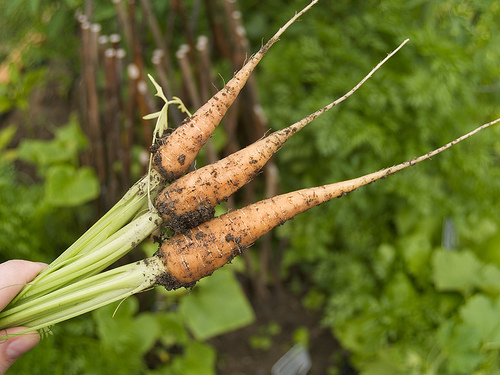 In fact, I had a sudden realization this evening as I plucked the first of my carrots that this is really the first time (in my adult life) that I’ve grown many of the veggies I have going this year. 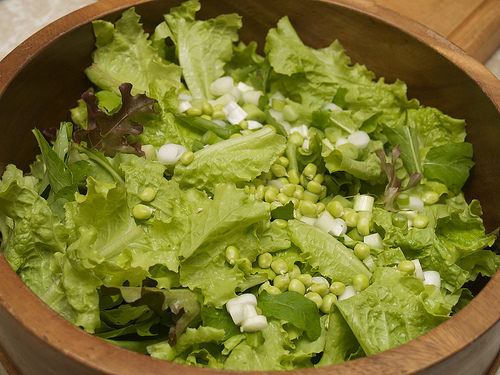 I’ve often done salad greens, tomatoes in pots, and a few onions, beets, etc. But to have carrots, squash, cucumbers, garlic and so much more… what a treat. It makes me want more veggie gardens! Tonight I cooked my first batch of Capuchijner peas, and I think I might know now why they’re a called a soup pea. 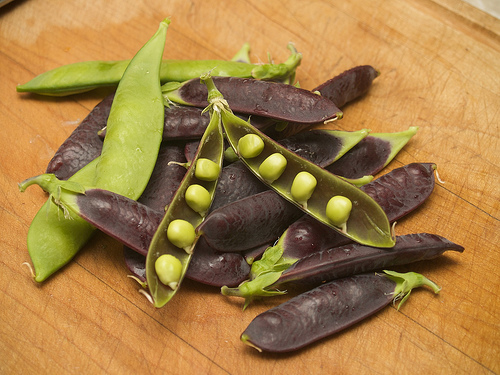 They didn’t really go that lovely “pea green” colour when I cooked them, but remained as pale as they were when raw. And while they’re quite tasty, they don’t seem to have that explosion of tender sweetness that I think of from regular fresh peas. 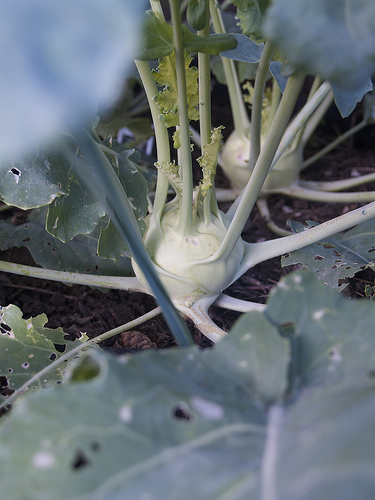 The kohlrabi are coming along nicely as well, although I’ve been battling slugs regularly to keep them. I’ve never cooked these babies before so I’m looking forward to trying them out. 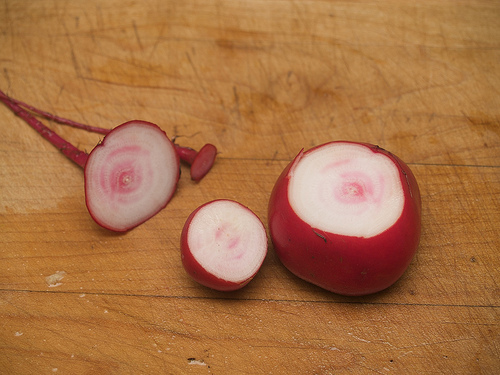 I was also pleasantly surprised to discover that my Chioggia heirloom beets are harvest size already, although I think they need a bit more time to develop their signature pink and white rings, as mine are still very white inside. Yay! Those veggies all look great. 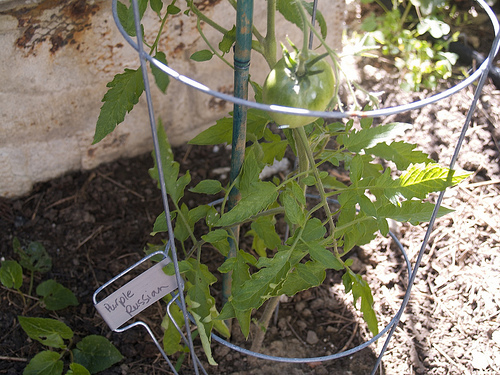 I am trying to be patient for the tomatoes, carrots, and beets we planted – our first garden.